The attorney for the publisher of Michael Wolff's "Fire and Fury" shot back on Monday to the demand from President Trump's attorney that it cease and desist further dissemination of the book. Last week, Charles Harder, an attorney representing Trump, sent a letter to Henry Holt demanding the publisher "cease and desist from any further publication, release or dissemination" of the book and "issue a full and complete retraction and apology" for what he characterized as "false/baseless statements" made about the president. Elizabeth A. McNamara, an attorney representing Henry Holt, said in a letter to Harder that no such actions will be forthcoming. "My clients do not intend to cease publication, no such retraction will occur, and no apology is warranted," she wrote in the letter, a copy of which Henry Holt provided to CNN. McNamara added, "We have no reason to doubt ... that Mr. Wolff's book is an accurate report on events of vital public importance. Mr. Trump is the President of the United States, with the 'bully pulpit' at his disposal. To the extent he disputes any statement in the book, he has the largest platform in the world to challenge it." The three-page response from McNamara concluded with her saying that while her clients "do not adopt or subscribe" to the Trump attorney's legal contention, her clients "will comply with any and all document preservation obligations that the law imposes on them." "At the same time, we must remind you that President Trump, in his personal and governmental capacity, must comply with the same legal obligations regarding himself, his family members, their businesses, the Trump campaign, and his administration, and must ensure all appropriate measures to preserve such documents are in place," McNamara wrote. "This would include any and all documents pertaining to any of the matters about which the book reports." "Should you pursue litigation against Henry Holt or Mr. Wolff," McNamara continued, "we are quite confident that documents related to the contents of the book in the possession of President Trump, his family members, his businesses, his campaign, and his administration will prove particularly relevant to our defense." The letter to Trump's attorney came hours after John Sargent, CEO of Macmillan, the parent company of Henry Holt, outlined in a memo to employees the company's "firm" response to Trump, telling staff it "is a matter of great importance" that is about "much more" than the book itself. "The president is free to call news 'fake' and to blast the media. That goes against convention, but it is not unconstitutional," Sargent wrote. "But a demand to cease and desist publication—a clear effort by the President of the United States to intimidate a publisher into halting publication of an important book on the workings of the government—is an attempt to achieve what is called prior restraint. That is something that no American court would order as it is flagrantly unconstitutional." "There is no ambiguity here. This is an underlying principle of our democracy. We cannot stand silent," Sargent added in his memo. "We will not allow any president to achieve by intimidation what our Constitution precludes him or her from achieving in court. We need to respond strongly for Michael Wolff and his book, but also for all authors and all their books, now and in the future. And as citizens we must demand that President Trump understand and abide by the First Amendment of our Constitution." 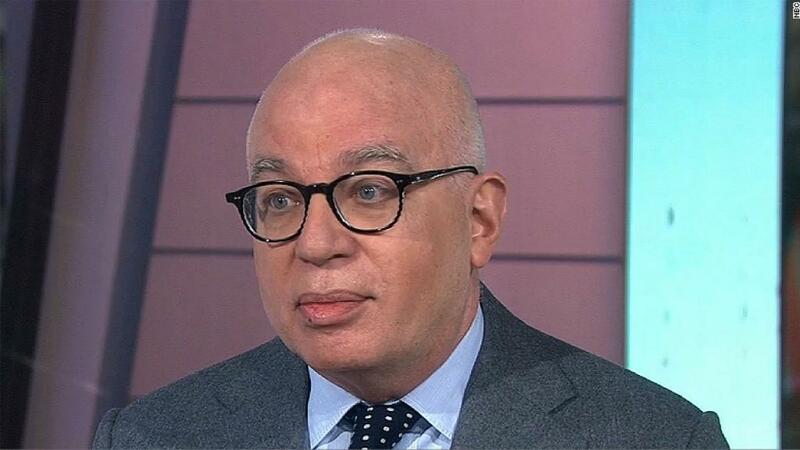 Wolff's "Fire and Fury" has dominated the media cycle since excerpts were released last week. The book portrays Trump's aides and allies as questioning the president's mental fitness for office. CNN has not independently confirmed all of Wolff's assertions. Trump has slammed the book and its author, even responding to questions about his mental fitness for office. In a series of tweets over the weekend, he said his "two greatest assets have been mental stability and being, like, really smart," and called himself a "very stable genius."